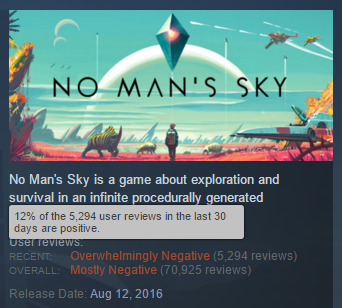 Have you heard the controversy surrounding the console and PC game, No Man’s Sky? Long story short, a long-awaited and publisher-backed exploration game was forced to refund many players and is now facing the internet’s wrath. Players are unhappy that the game allegedly promised more than it delivered. We’ve seen similar things happen in the mobile realm, where users have complained en masse in the form of app reviews. Pokemon Go felt something similar when they axed their tracking feature. The lesson: always be open and transparent with your fans and backers. If not, you could provoke an angry mob of reviewers and negative sentiment that may be impossible to recover from. Why Play? Tiny Miners is an endless runner that’s quite literally been turned upside down. A fairly standard model for its core gameplay, combined with a ton of customization, upgrade and evolution options and an accessible art style make this runner incredibly sticky and definitely worth digging into. Why Play? Pirates War: The Dice King is an absolutely fascinating mashup of a Monopoly style board game and your standard mobile card battle type offering. There are several pivots that take it into battler realm, it’s definitely one of the new titles on the app store to keep an eye on. Why Play? This game is getting a lot of positive reviews and press for being an awesome full-featured MMO port of the original DOFUS game. Worth taking a peek if you want something deep to sink your teeth into. Why Play? Putthole is different than most golf games because it’s not physics-based, it’s a puzzler! It’s a challenging little game where you move tiles around to allow the golf ball to navigate. And it has a hilarious name.